For a youth sports team to be successful, all of its players need to trust and support one another. A team with excellent group chemistry becomes a well oiled machine: flawlessly executing plays and anticipating each other’s moves. When young athletes feel like they are part of something larger than themselves, they play at their full potential and encourage their teammates to do the same. Team building exercises are wonderful ways to foster a sense of unity for young athletes. 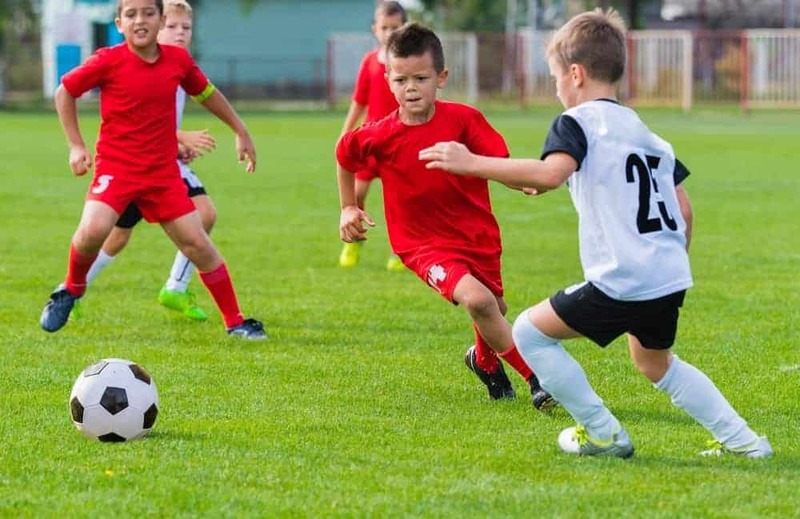 To help you create a cohesive squad, Rocky Top Sports World has put together a guide to a few of our favorite team building activities. Having your team complete an obstacle course can be a ton of fun! Since your entire group must cross the finish line at the same time, your team will will have to work together to ensure that no one falls behind. It’s not hard to set up a fun obstacle course right at your home field or court. When you visit the Smoky Mountain area, your team can stop by TopJump Trampoline Park to try and conquer their awesome “ninja course”. Inspired by the sort of courses you might see on American Ninja Warrior, TopJump’s obstacle course is sure to challenge the young athletes on your team. Getting everyone together for a group meal is another great way to bring your team closer together. When teammates are in the middle of practice or playing a game, they don’t always get the chance to talk with one another. Going out for lunch or dinner with the team offers a more social environment where quieter kids can relax and open up. Teams visiting the Gatlinburg area will find a wide variety of excellent restaurants to enjoy. Whether you’re in the mood for pancakes, pizza, burgers, BBQ, or ice cream, you’re guaranteed to find exactly what you’re looking for in the Smokies. For a complete listing of the area’s most popular places to eat, check out our guide to the Best Restaurants in Gatlinburg. Nothing brings a group of people together quite like a whitewater rafting trip! Rowing in unison as you make your way down the river requires teamwork, and the experience of riding the rapids is something your group will never forget. The Great Smoky Mountains are home to the beautiful Pigeon River, which is the third most rafted river in the entire nation. Smoky Mountain Outdoors is the biggest and best rafting company on the Pigeon River. No prior experience is necessary to go rafting with Smoky Mountain Outdoors, and both “mild” and “wild” trips are available. Ziplining is another thrilling team building activity. When you take a canopy tour with your team, you will all be part of of an exhilarating adventure that is unlike anything else you’ve ever experienced. Whizzing through the air at 50 miles per hour is something you’ll talk about with your teammates for months (if not years) after your zipline tour. The top destination for ziplining in the Smoky Mountains is CLIMB Works. Surrounded by the national park, the zipline course at CLIMB Works offers unparalleled mountain views. When you complete this unique canopy tour, your feet won’t touch the ground for 2.5 hours! Located in the foothills of Gatlinburg, Rocky Top Sports World is just minutes away from all of the area’s best team building attractions. Our 80 acre athletic complex features six basketball courts, seven fields, 12 volleyball courts, team rooms, an onsite grill, and everything else you need to host an incredible sports tournament. To learn more about everything our sports campus has to offer, visit our Facilities page! This entry was posted in Trends in Youth Sports on February 16, 2017 by rockytopsports.